One of my other hobbies is growing house plants. I’m not very good with gardening but really have much more luck with indoor plants. 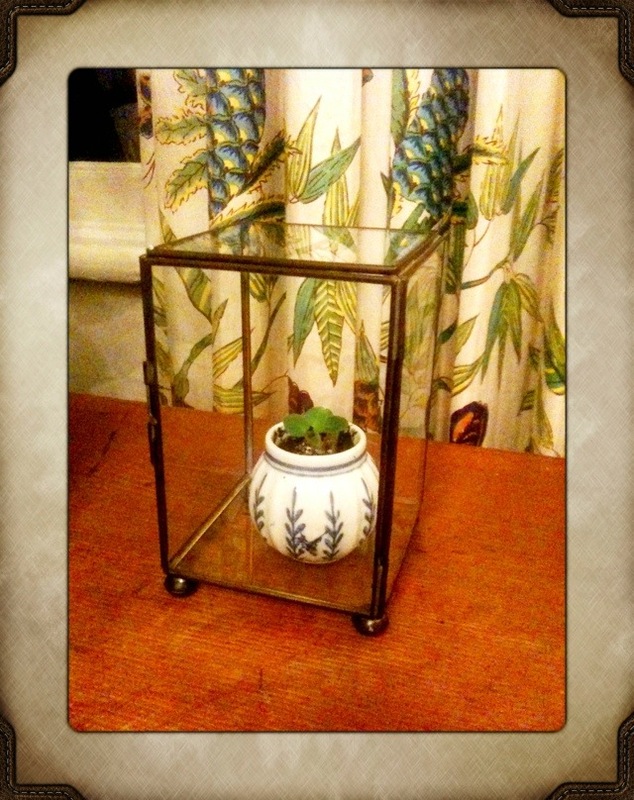 Yesterday I found an old container that is now working as a terrarium. 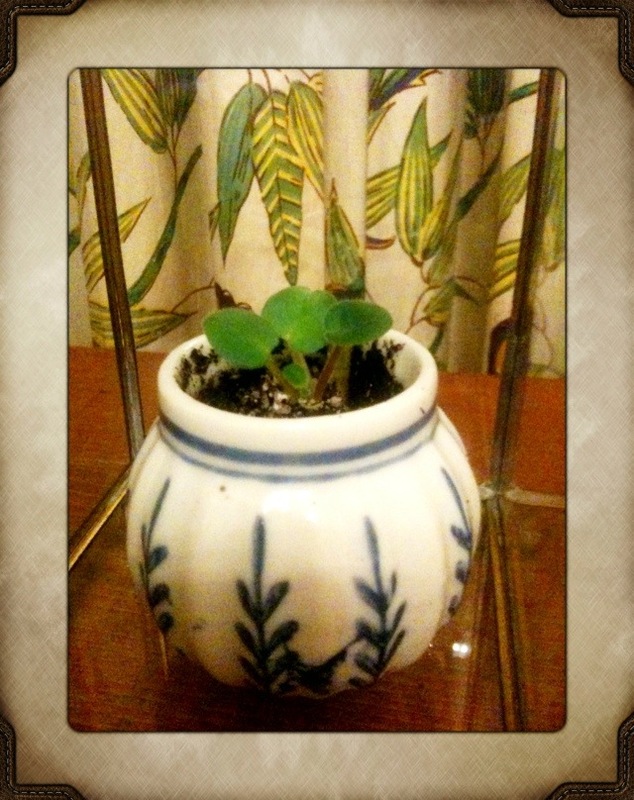 I grew this small African violet from a cutting and have just today placed it in this tiny pot. I grew the AV cutting in a different terrarium and now have it in this. You can see the scale of how small it is compared to my bonsai schefflera. 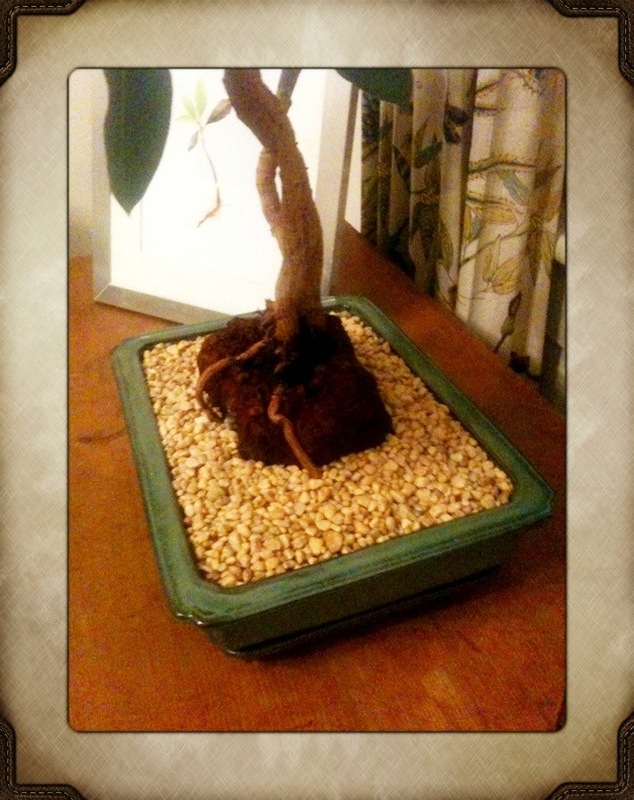 The bonsai is about 15 years old now and grows over a large lava rock. It still seems very happy! 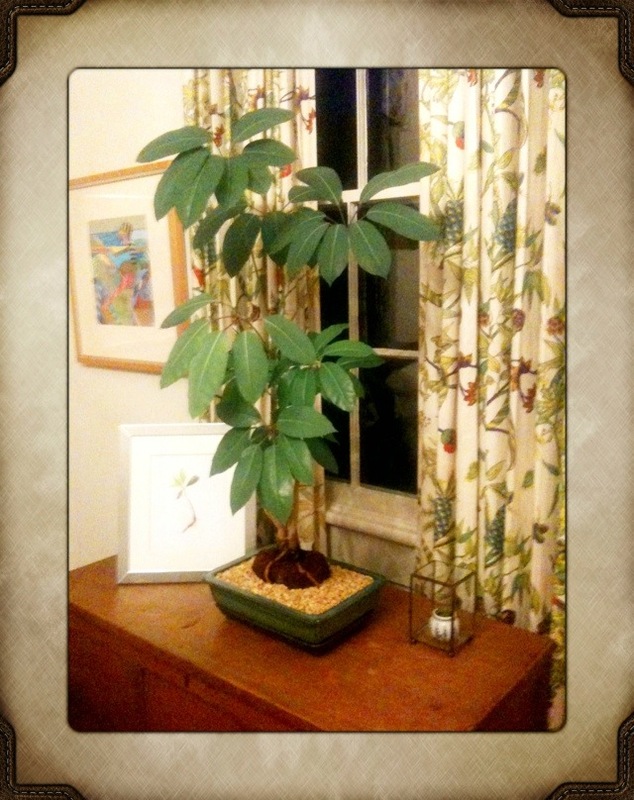 I love what you did with your schefflera – I have one too and would love some instructions or advice on how to accomplish the same thing you did. I also have a couple of Lucky Bean trees that I would like to bonsai if possible?